Stewart Moore is the founder and Chief Executive Officer of EarthCheck and the Executive Director of the APEC International Centre for Sustainable Tourism. EarthCheck is an Australian based environmental management and business advisory company which specializes in sustainable tourism and operates in over 70 countries across 32 industry sectors in six languages. Stewart is a fellow of the Financial Services Institute of Australia and the Australian Tourism Research Institute and has over 30 years of experience in tourism operations and management consulting to both the private and public sector in the Asia Pacific region. 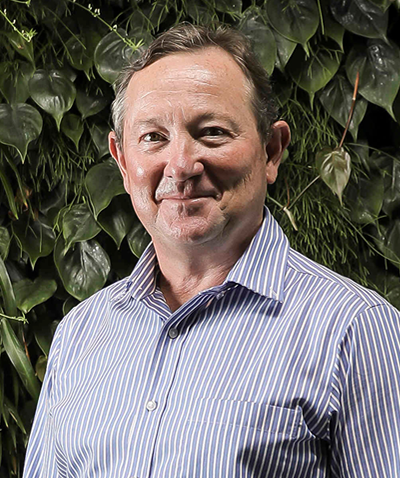 Stewart served on the Tourism Forecasting Council of Australia for 10 years and was Chairman of the Pacific Asia Travel Association in Queensland for eight years. He is on the Advisory Board for the Griffith University Institute for Tourism, Chairman of the PATA Sustainability and Social Responsibility Committee, Deputy Chairman of the PATA Foundation and Chairman of the National Centre for Studies in Travel and Tourism.